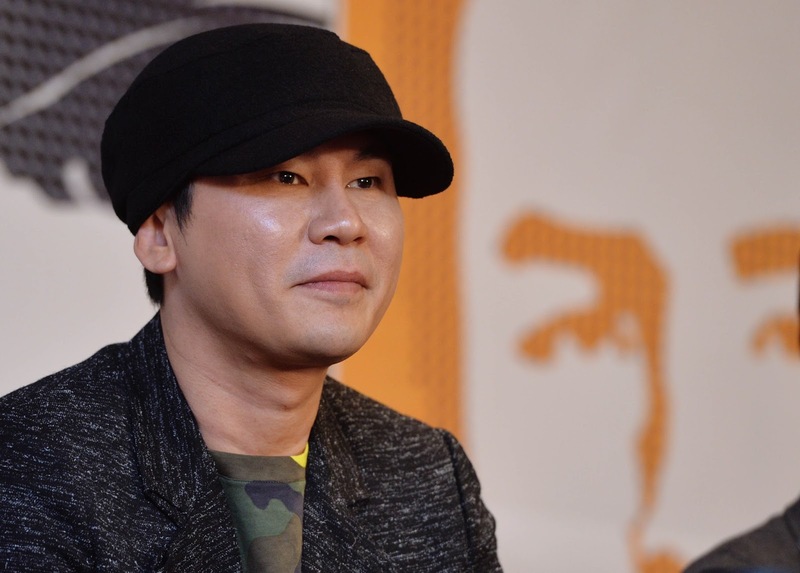 Both SM and YG Entertainment, the biggest kpop agencies, are listed companies, and they are two of the major targets for Korean securities companies to analyze. Actually, securities analysts sometimes offer more specific and objective reports about management companies than entertainment journalists do because their reports can have a big impact on the stock prices of the companies. So, here's Korean securities company's analysis of SM and YG. The reports were written by an analyst of Samsung Securities in August 2016. ● SM Entertainment (SME) on Aug 12 reported a 2Q operating loss of KRW2.4b, missing consensus expectations of a KRW6.1b profit, and while most forecasts factored in an absence of concert sales in Japan, the firm’s subsidiaries posted substantial losses. ● The company should see its earnings rebound from this quarter on the recognition of approximate ticket sales of 530,000 in Japan, mostly from dome concerts by boy group SHINee. ● Our BUY rating on SME is unchanged, but we lower our 12-month target price by 22.6% to KRW41,000 (based on 30x 2017 P/E) to reflect a sector-wide drop in multiples. Still, with EXO now greenlighted by China to hold four concerts there in 2H, we can say THAAD-related concerns appear to be easing. 2Q disappointment…: SM Entertainment (SME) on Aug 12 reported a 2Q operating loss of KRW2.4b, missing consensus expectations of a KRW6.1b profit, and while most forecasts factored in an absence of concert sales in Japan, the poor performance came amid significant operating losses by subsidiaries Dream Maker and SM F&B. …but rebound at hand: SME should recognize sales this quarter from concerts in Japan by boy groups SHINee, f(x), and Super Junior, with expected approximate ticket sales of 430,000, 20,000, and 80,000, and while the combined figure of 530,000 would fall short of 3Q15’s 750,000 (most of whom saw TVXQ), we still expect this to spur an earnings rebound. In addition to SHINee now being popular enough to hold dome concerts in Japan, members of TVXQ are set to complete their mandatory military service next year, with both factors behind our bright 2017 outlook. China’s music market set to normalize: China’s music market has long been plagued by illegal downloads and piracy, but there are signs of improvement, with Tencent and Alibaba adopting systems to charge for digital music content. Although SME’s music sales in China hit just KRW2.2b in 1H, normalization of that nation’s industry could present substantial opportunities for Korean entertainment players, given: 1) that market’s sheer size; 2) the continuing popularity of K-pop; and 3) operating leverage inherent to the digital music content business. Still a BUY, but cutting target: Our BUY rating on SME is unchanged, but we lower our 12-month target price by 22.6% to KRW41,000 (based on 30x 2017 P/E) to reflect a sector-wide drop in multiples. Nonetheless, with EXO now greenlighted by China to hold four concerts there in 2H, we can say THAAD-related concerns appear to be easing. ● YG Entertainment’s operating profit grew 33.2% y-y in 2Q but fell 13.1% short of the consensus. Expectations for Big Bang and iKON concerts in Japan were too high. ● We expect Big Bang and iKON activities overseas to enable YGE to maintain robust profitability in 2H, despite seasonality. We do not expect a strain in Sino-Korea relations created by the THAAD deployment to impact earnings much, and feel concerns about Big Bang members fulfilling their military service are overblown. ● We maintain a three-star BUY rating on YGE but cut our target to KRW51,000 on a sector-wide drop in multiples and EPS dilution caused by a rise in paid-in capital. 2Q review: YG Entertainment said yesterday its consolidated operating profit grew 33.2% y-y in 2Q to KRW6.8b, missing the consensus by 13.1%. With no major concerts being held in Korea, expectations for the quarter rested largely on what appear to have been inflated hopes for sales from Big Bang and iKON concerts in Japan in 1Q that attracted 300,000 and 140,000 fans, respectively. Subsidiary YG Plus posted an operating loss of KRW0.95b, improving on 1Q’s shortfall of KRW1.6b. Profitability to remain robust in 2H: YGE’s profits tend to weaken in 2H as less revenue from Japan concerts is recognized. This year, however, things should be different. In 3Q, we expect the firm to recognize sales from profitable Big Bang fan tours (in Japan in 2Q and China in 3Q). In 4Q, sales should be booked from Big Bang 10-year anniversary and iKON concerts in Japan (to be held in 3Q). We expect Big Bang to attract 165,000 fans and iKON to bring in 140,000 (and 280,000 for the year). Concerns overblown: Strained Sino-Korea relations have battered YGE shares of late, but the THAAD decision should have little impact on the firm’s earnings unless China retaliates for a prolonged period, because Big Bang’s fan tour in China ended in July. We also feel concerns about Big Bang members fulfilling military service are overblown—we believe their enlistments will be staggered, allowing several to put out solo work next year. Still a three-star BUY: We maintain a three-star BUY rating on YGE, expecting its earnings to keep growing as Big Bang holds more concerts, iKON contributes more profits, and YG Plus turns around. However, we lower our 12-month target price to KRW51,000 (based on 30x 2017 P/E) to reflect a sector-wide drop in multiples and EPS dilution triggered by an increase in paid-in capital in 2Q.